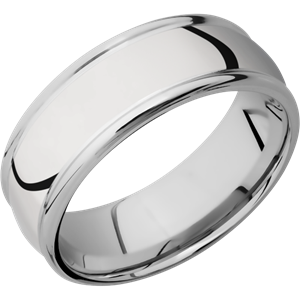 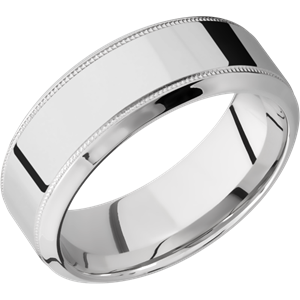 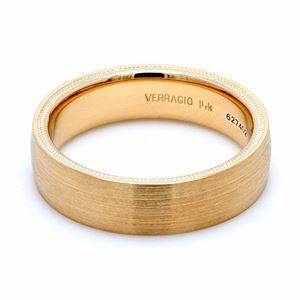 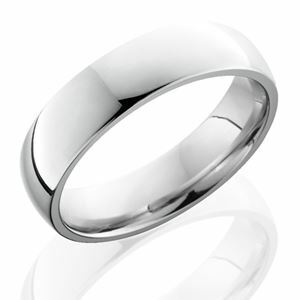 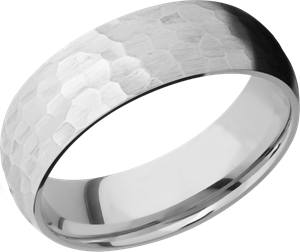 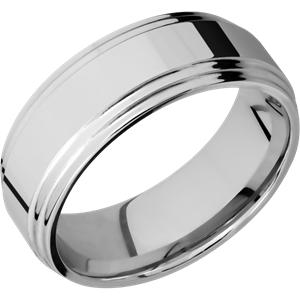 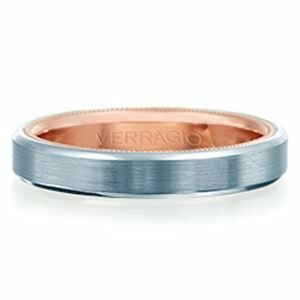 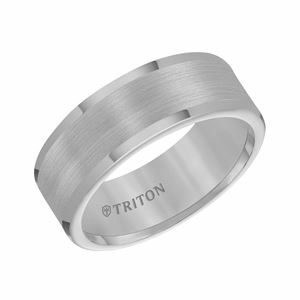 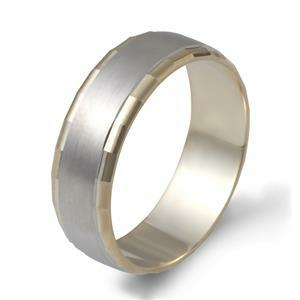 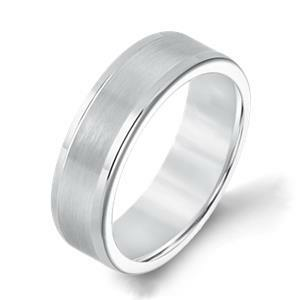 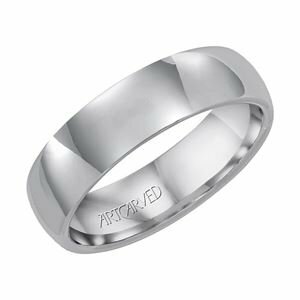 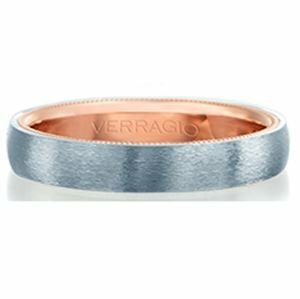 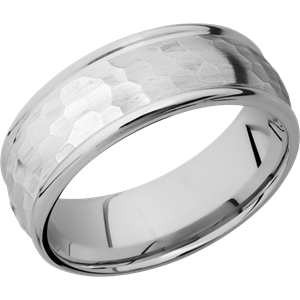 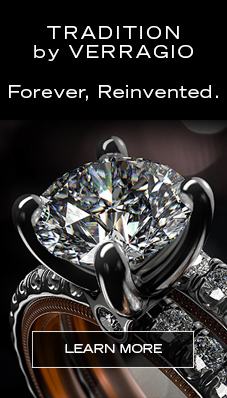 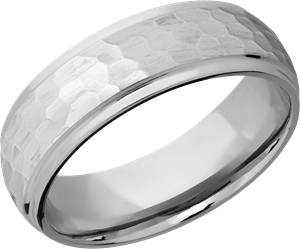 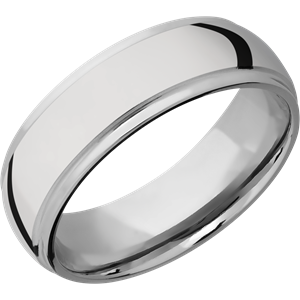 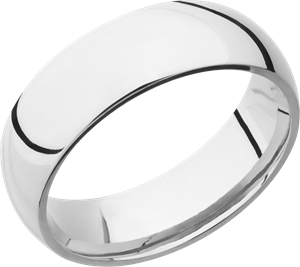 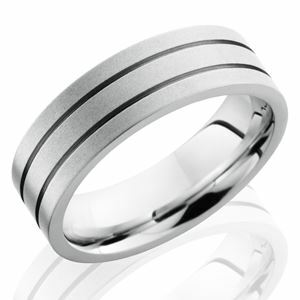 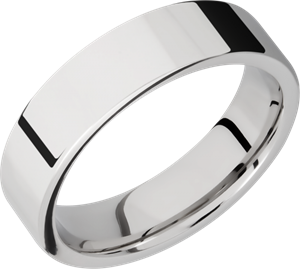 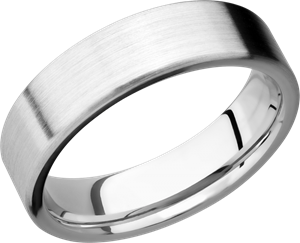 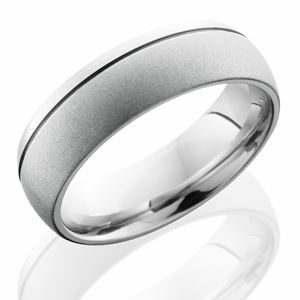 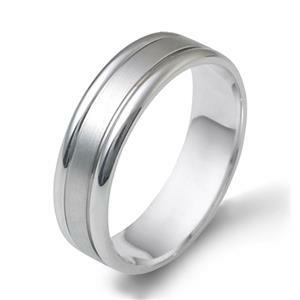 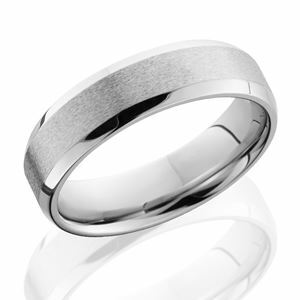 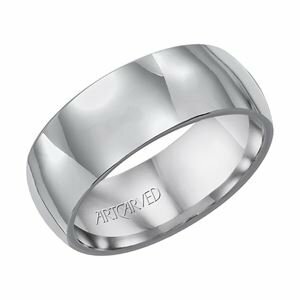 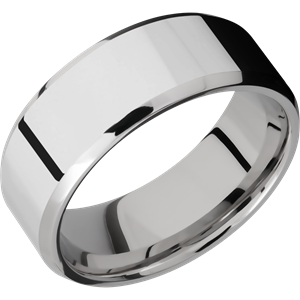 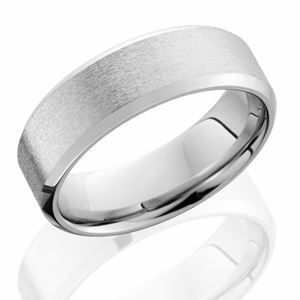 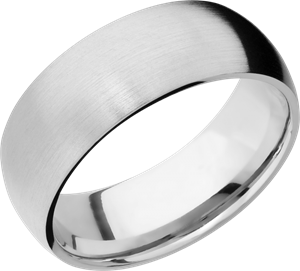 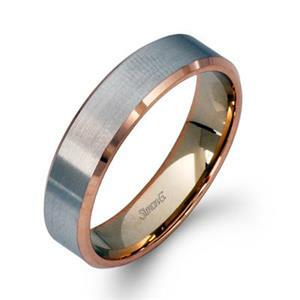 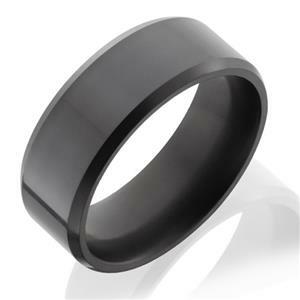 Solid diamond ring with custom beveled edge design with a polish finish wedding band. 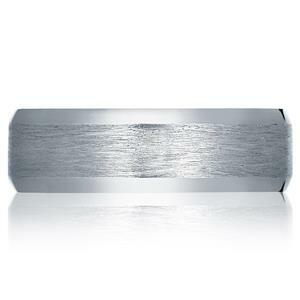 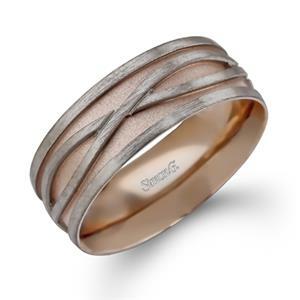 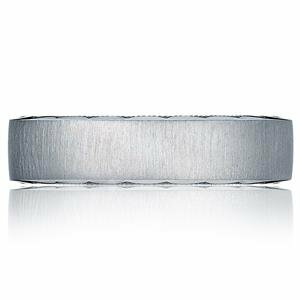 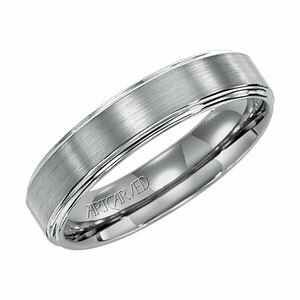 Damascus Steel 10mm Domed wedding band. 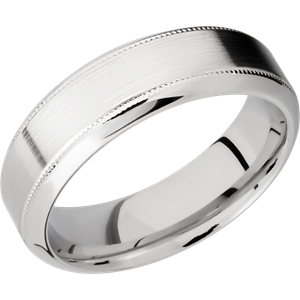 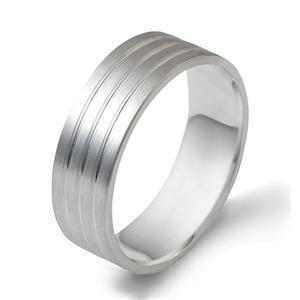 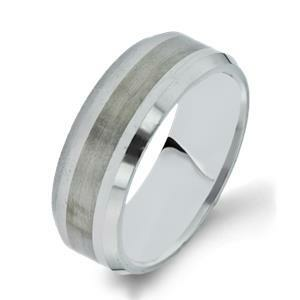 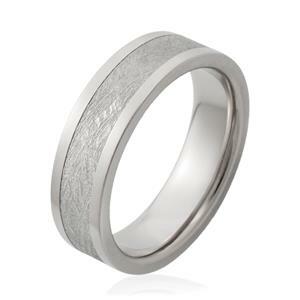 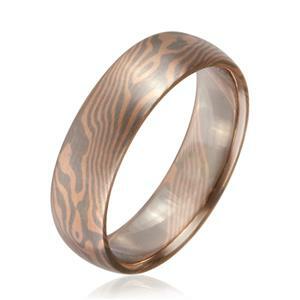 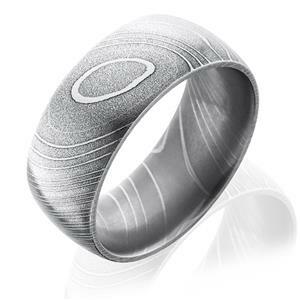 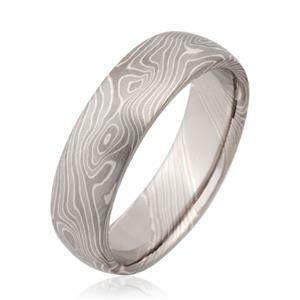 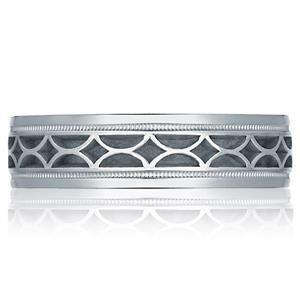 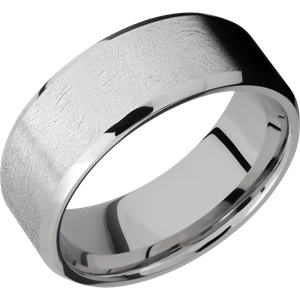 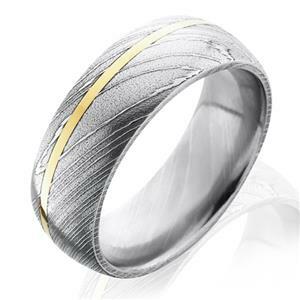 Damascus Steel 8mm Domed Band with 1mm 14KY wedding band.